I have been struggling with creating a user who has read only access to an azure database and finally figured it out. The key is connecting to the right database in a new session when executing the t-sql commands. This is because you can not execute a “use” statement, change the database in the current session via the GUI, and you can not make named references to databases in your t-sql. Validate user has read only permissions by connecting to database using these new credentials and executing something like “CREATE TABLE dbo.test (test datetime);”, which should return an error message indicating permission denied. I wanted to compare WiFi coverage of two different wireless access points and their various configurations in my house, and also check for dead spots. One quick and cheap way to do this that I have come across is using a free product called Ekahau HeatMapper. 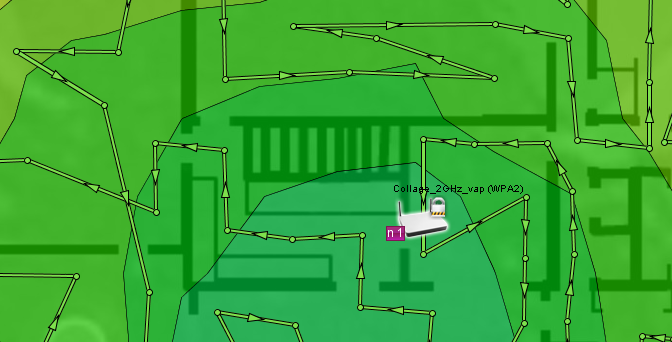 Ekahau HeatMapper allows you to walk around your home or office and capture information about WiFi signals in various spots, and then the software aggregates this information into a banded topographical map.